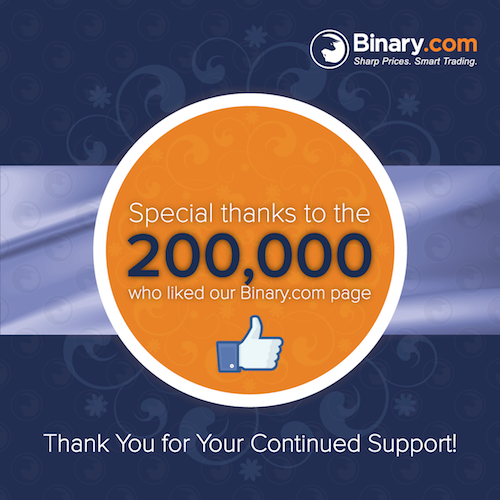 We would just like to thank all of you who helped the Binary.com official Facebook page achieve its most recent milestone of 200,000 fans! We greatly value and appreciate your tremendous support. It is your continued loyalty that has made us the world’s leading binary options platform since 1999. Thanks again for trading with us!